We began this series with the assumption that “perceptions of risk matter”. We noted that risk is complex. When you wish to change someone else’s behavior (essential for sales), you try to affect their situation as YOU see it. But this is not enough. You must also influence how THEY “see” the situation. After all, we’ve all been taught that seeing is believing. but is it? Our assumptions are our biggest mistake in selling to others. We assume, “if we can get them to see our product properly, they will believe it has value to them.” We operate this way because we assume, “seeing is believing.” This saying sounds harmless enough, but it is one of the most treacherous deceptions of the human condition. In its rhythmic, “feel good” way, it assumes that what we trust to be true is determined by what we perceive is. This notion suggests we can trust what we observe. Actually, humans work the other way around. Our senses are generally biased to ‘see’ things AS WE BELIEVE them to be. We have embedded beliefs that flow naturally from our need to protect and support how we think life works best for us. This is a vicious loop. We believe things are a certain way and then we interpret what we ‘see’ to support what we believe. This is the source of our biases. This is why we cannot see things as they really are. This is the nature of your customers and consumers. To affect their behavior, you must affect their perceptions of risk. To affect their perceptions of risk, you must affect what they believe to be true. For you to affect what they believe, they must trust you. Look around in your organization. Is this how you think about your business? Do you understand you are in the business of exchange, and exchange is relational, and relationships operate on trust? If so, you have successfully busted a lot of myths. You are primed to be a successful player in your industry. Steve Caldwell, author of "Winning in a Hostile Environment: The Double Bottom Line Mandate", holds a PhD in Management of Human Behavior from Georgia Institute of Technology. He is both an accomplished teacher and researcher, with numerous publications in peer-reviewed academic journals. 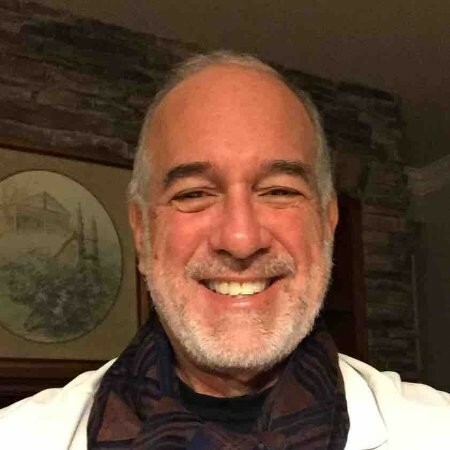 Prior to obtaining his doctorate, Steve spent 28 years in the business world, serving as an executive in the Coca-Cola and Pepsi-Cola bottling networks. He is currently CEO of DBL Insights, LLC providing consulting and coaching services to business leaders.